The evening started with a delicious supper in the magnificent salons at Draper’s Hall. The guests then moved to the concert venue where young, talented musicians from Guildhall School of Music or Royal College of Music entertained us with a rich and varied programme. The evening was a great success and we were grateful to our sister society, the Anglo-Swedish Society, for allowing us to join them for this splendid setting! Members of the Anglo-Swedish Society were invited to the launch of the new album "A Salon Opera" by Flauguissimo Duo - Yu-Wei Hu (fute) & Johan Löfving (guitar). This period flute and guitar ensemble made their resonus debut with this unique programme of works. The performative event took place in the beautiful Swedish Church in West London and was an evening to be remembered. Hatt et Söner invited 12 Anglo-Swedish Society members to a Champagne tasting at the prestigious 67 Pall Mall wine club in Mayfair. On arrival, guests were given a glass of Champagne, followed by an introduction to the story behind Hatt et Söner Champagne house. Later on, the concept of personal vintage concept was explained to the guests and a blind tasting of Champagnes produced from grapes grown in various locations enjoyed. On the 7th of December, the sixth successive Sankta Lucia celebration took place, involving the Chapter of York and the whole Minster community. The service drew upon the strong historic and cultural links which York has with Scandinavia. The evening saw hymns, readings and prayers and was a special night for all involved. We were delighted to host a great range of groups and organisations to services during Advent and it was particularly good to have had the opportunity to work with the York Anglo-Scandinavian Society. We were grateful to all those who worked so hard to prepare for the evening. Guests participated in a private group guided tour to see ‘This is How we Bite our Tongue’, which was the work of Scandinavian artist duo Michael Elmgreen (Danish) and Ingar Dragset (Norwegian) - well known for their ‘Rocking Horse’ fourth plinth in Trafalgar Square. In their uncanny, beguiling installations, institutional spaces are wittily transformed into metaphors for personal desires and collective identities. The exhibition combines a survey of their emotional figurative sculptures with a large-scale installation that meditates on the fate of civic space. 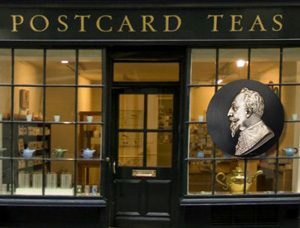 To commemorate Gustavus Adolphus Day, a rare tea tasting event was hosted at Postcard Teas by London based tea expert Timothy d’Offay who is consulted by some of the world mot prestigious restaurants such as The Fat Duck, River Cafe and Fera. During this special event, he presented some of his unique inventions of alcohol based old tree teas (up to 800 years old). Members also enjoyed Gustavus Adolphus cakes and other snacks. Every year, BREMF contributes to the vibrant arts scene in Brighton and Hove through its programme of choral concerts, workshops and schools projects. 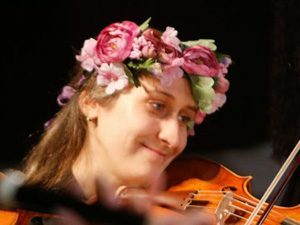 The success of previous annual festivals means that BREMF has built a reputation for lively and inspired programming, often exploring connections with different art forms and using performance formats and spaces that challenge preconceptions of early music. The Anglo-Swedish Society is pleased to have sponsored the photography of the event 'The Marriage of the Northern Star' by Yu-kuang Chou (Pop Photo).